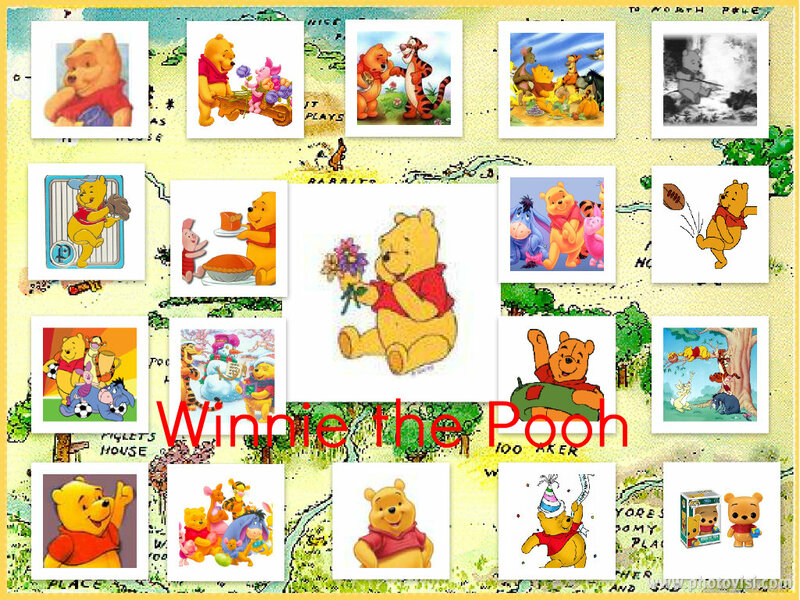 Winnie the Pooh Collage. . HD Wallpaper and background images in the Winnie l’ourson club tagged: winnie the pooh hunny character disney. 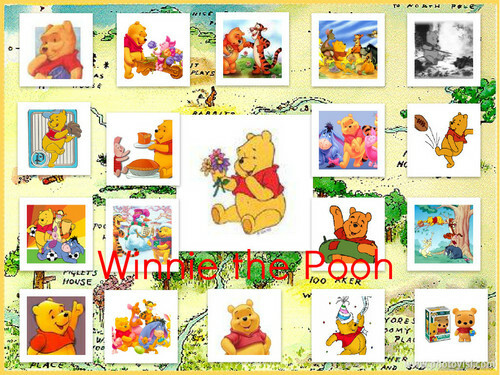 This Winnie l’ourson fan art contains barrage and digue. There might also be journal, papier, magazine, tabloïd, chiffon, livre, anime, bande dessinée, manga, and dessin animé.